Had a bit of a fish obsession for the past couple of days. It was prompted by being asked to “visualise” negotiations. There’s a phrase negotiators apparently use which goes: “If you do x, I’ll do x” as a way of building trust. It’s an exchange that makes me think of a leap of faith. “I’ll put my cards on the table if you do” sort of thing. We had fish when I was a kid and from time to time, one would jump out. We also had a cat. 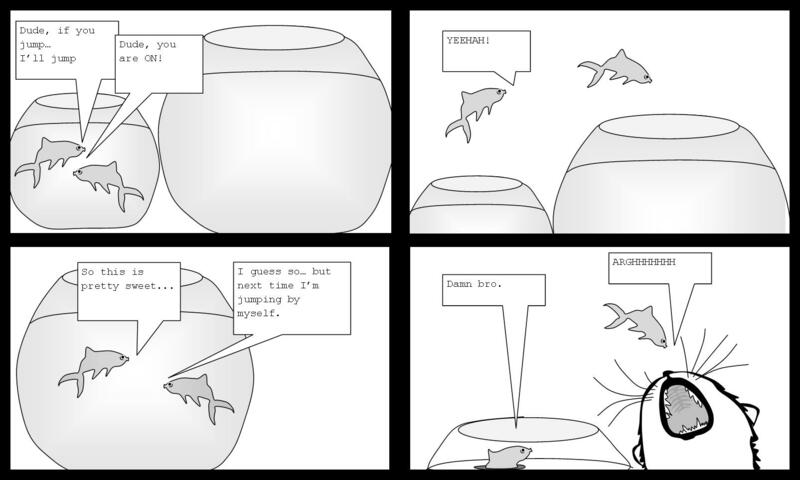 Occasionally he ate the fish. The dynamics seemed to go together. 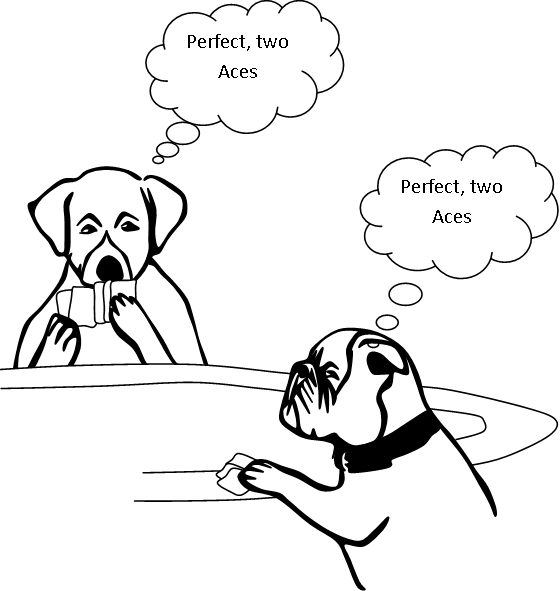 I also did dogs playing cards… because cliche.